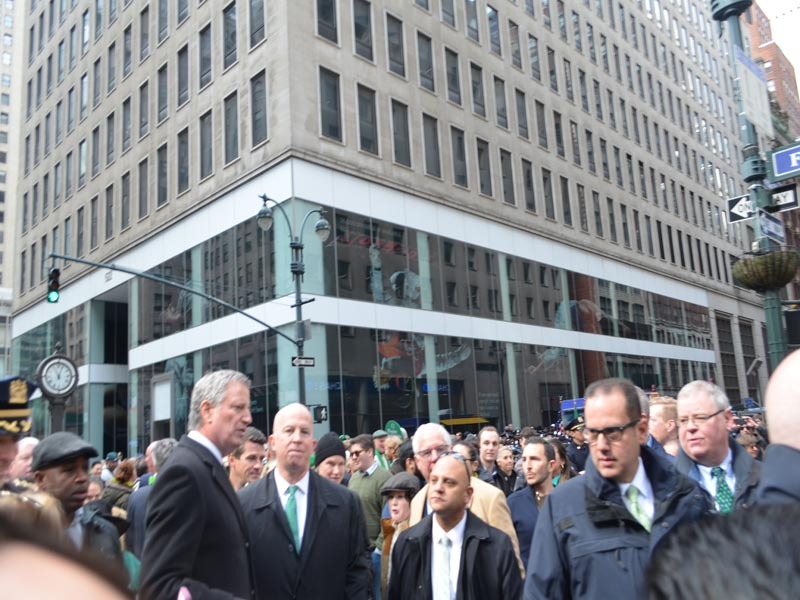 The NYC St. Patrick’s Day Parade is one of New York City’s greatest traditions. The first parade was on March 17, 1762 — fourteen years before the signing of the United States Declaration of Independence. 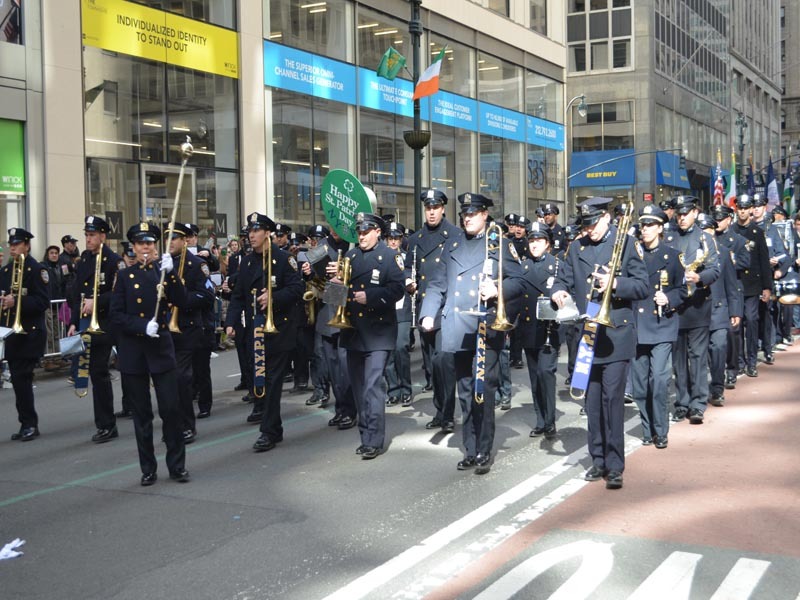 The first NYC St. Patrick’s Day Parade was comprised of a band of homesick, Irish ex-patriots and Irish military members serving with the British Army stationed in the colonies in New York. This was a time when the wearing of green was a sign of Irish pride but was banned in Ireland. 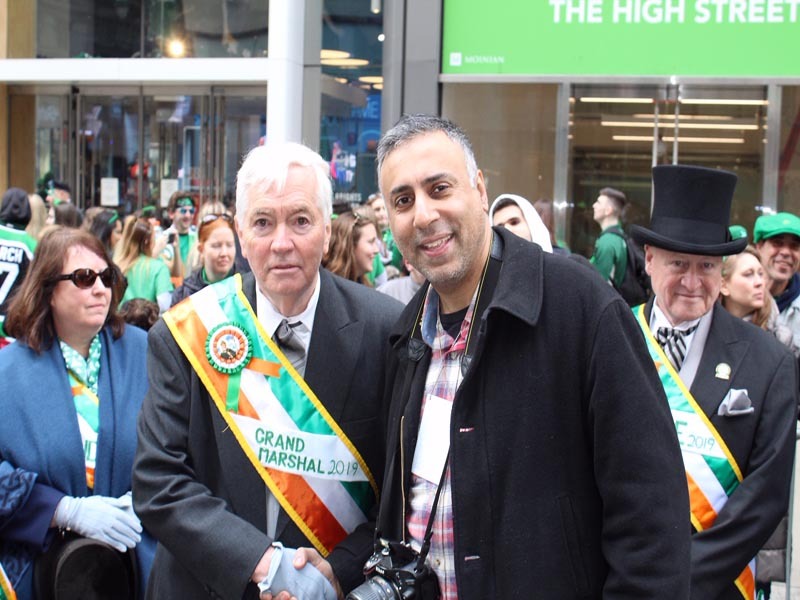 In that 1762 parade, participants reveled in the freedom to speak Irish, wear green, sing Irish songs and play the pipes to Irish tunes that were meaningful to the Irish immigrants of that time. 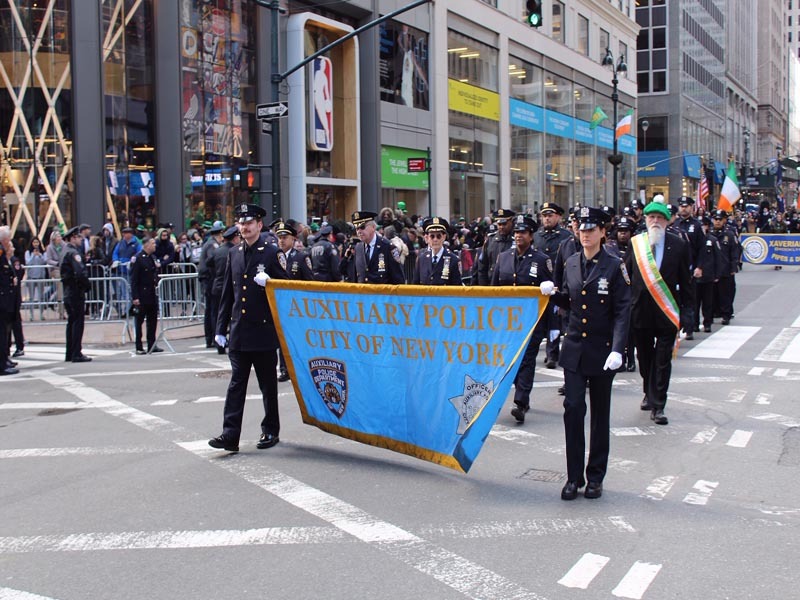 Today, the NYC Parade marches up 5th Avenue and is reviewed from the steps of St. Patrick’s Cathedral by His Eminence, Timothy Cardinal Dolan, Archbishop of New York. 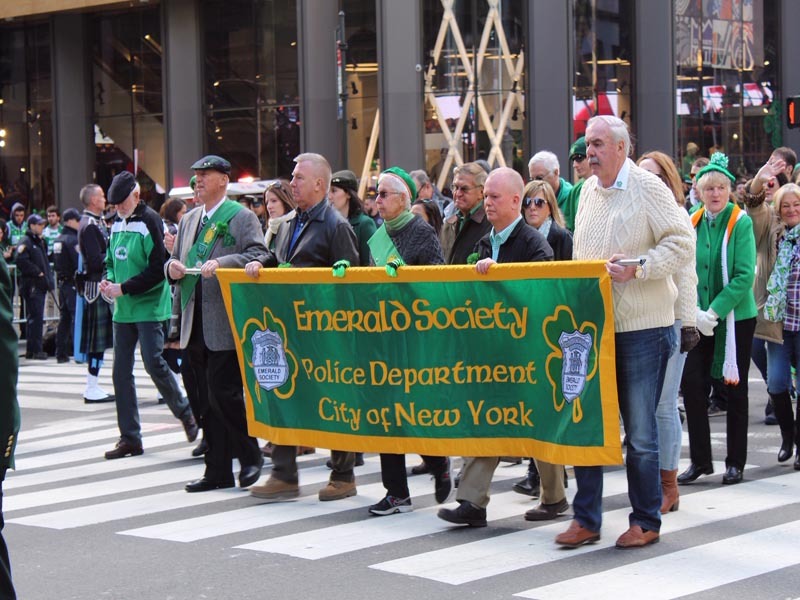 Since it began, this tradition of marching past St. Patrick’s Cathedral has remained unchanged with the exception of the address. In the early years, the Parade would march past the Old St. Patrick’s Cathedral (now Basilica) located at the corner of Mott and Prince Streets in SoHo. 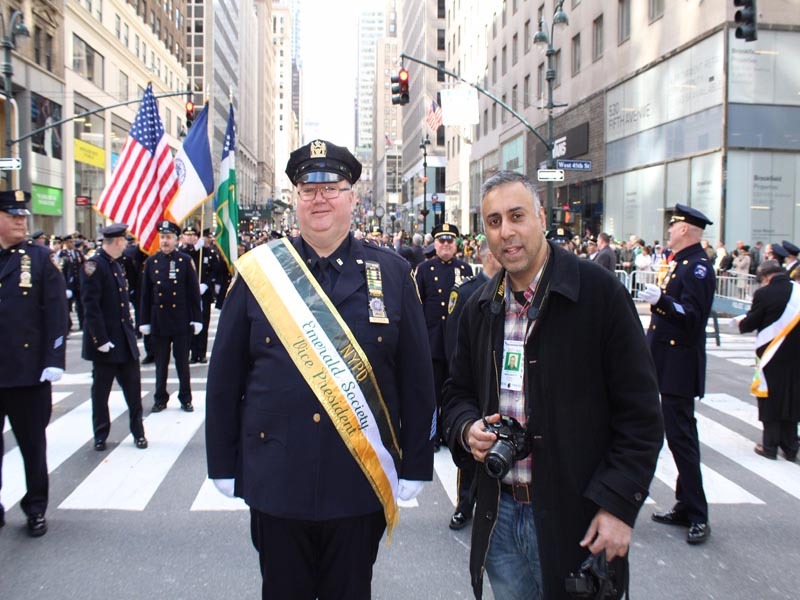 Today, the Parade starts at 44th Street and 5th Avenue at 11am and proceeds up the avenue to 79th Street. Throughout the day along the Parade route, millions of spectators come to celebrate. For the first few years, the NYC St. Patrick’s Day Parade was organized by military units. However, after the War of 1812, Irish fraternal and beneficial societies took over the duties of hosting and sponsoring the event. Around 1851 the “Irish” 69th Regiment began to lead the marchers. 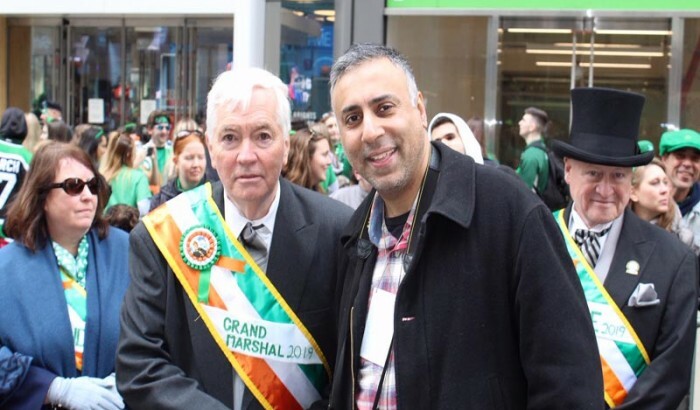 Also at that time, the Ancient Order of Hibernians (AOH) became the official sponsor of the Parade as the individual societies merged under a single Grand Marshal. Today the 69th Regiment is still the first group to lead the Parade up 5th Avenue. 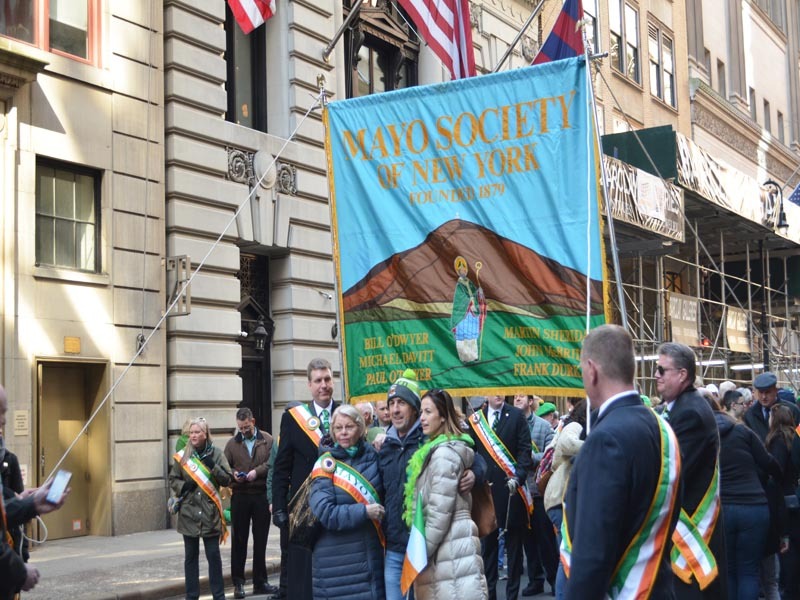 They are followed by various Irish societies of NYC, the 32 Irish county societies, schools, colleges, Emerald societies and Irish language and nationalist societies. In the early 1990’s, the Parade was attacked for its traditional values and, in the resulting law suits, the organizer’s rights were upheld at the US Supreme Court level. In 1992, the National AOH directed all AOH organizations to form separate corporations to run events such as the Parade. 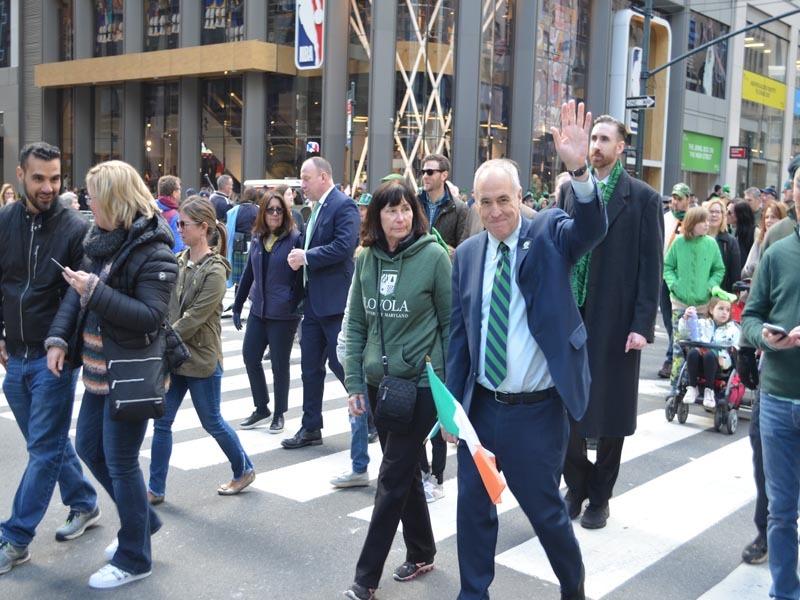 The NYC St. Patrick’s Day Parade today is run under a separate corporation, St. Patrick’s Day Parade, Inc. In 2002, NYC St. Patrick’s Day Parade was dedicated to the “Heroes of 9/11 honoring the police, fire and other rescue workers. At midday the entire Parade stretching one and half miles paused for two minutes. The marchers turned to face south towards the “Twin Towers” as Edward Cardinal Egan said a prayer for the victims of 9/11. It is said that was the first time in history that one could hear a pin drop on 5th Avenue. That year’s Parade was the largest to date with an estimated 300,000 marchers and three million spectators lining 5th Avenue. It was also the first time in the Parade’s history that the President of Ireland (Mary Mc Aleese) reviewed the Parade. In 2011, the Parade celebrated its 250th anniversary with the world-renowned author Mary Higgins Clark as its Grand Marshal. 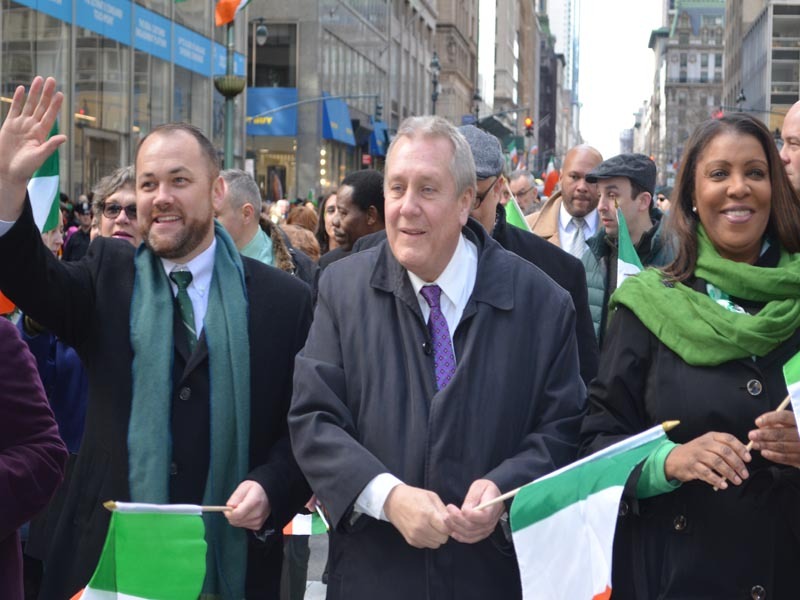 Five years later, the NYC St. Patrick’s Day Parade has much to celebrate and for which to be thankful. This year is the Ireland 2016 Centenary Year. Senator George Mitchell is the Grand Marshal. And the Parade is scheduled to have about 200,000 people marching up the avenue. The composition of the St. Patrick’s Day Parade and Celebration Committee™ is representative of the Parade’s affiliated groups and groups that have a vested interest in the parade.Members of the St. Patrick’s Day Parade and Celebration Committee™ assist in the organization of the logistics and execution of the annual New York City St. Patrick’s Day Parade along Fifth Avenue on March 17th, (except when March 17th falls on a Sunday, it will be held on Saturday, March 16th). 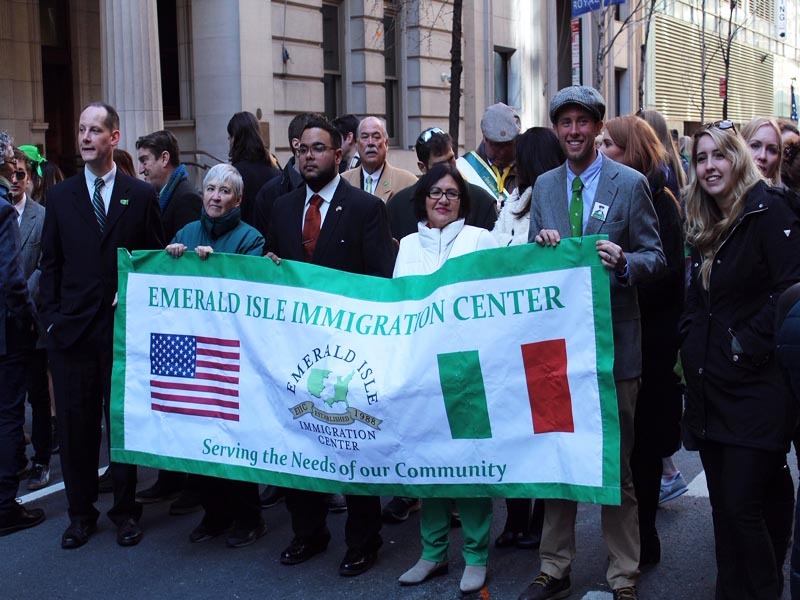 Members of the St. Patrick’s Day Parade and Celebration Committee™ are required to participate annually in fundraising activities, organize events associated with the parade and/or march in the parade. 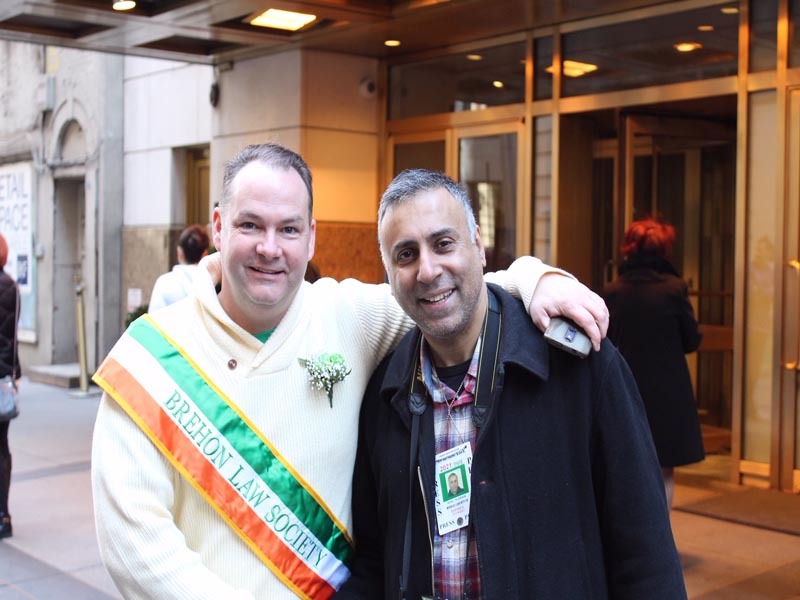 Members of the St. Patrick’s Day Parade and Celebration Committee™ are required to support the mission of the parade and support the mission of the board of directors of the St. Patrick’s Day Parade, Inc.
See more about Cultures and St Patrick’s Day Parade NYC-2019, in our World Liberty TV Cultural Blogs and Channels by clicking here.